UnREAL will be a little shorter in the future. TVLine reports Lifetime has ordered fewer episodes than normal for season four of the TV series. The drama revolves around the behind-the-scenes struggles of a popular dating reality show. The cast includes Shiri Appleby, Constance Zimmer, B.J. Britt, Craig Bierko, Jeffrey Bowyer-Chapman, Josh Kelly, Brennan Elliott, and Amy Hill. 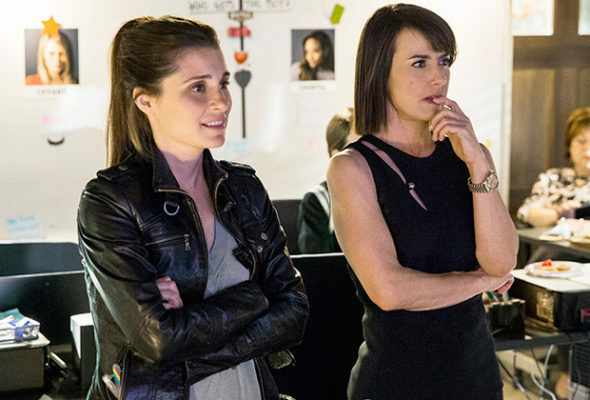 According to TVLine, Lifetime has ordered eight episodes for UnREAL‘s upcoming fourth season instead of the show’s typical 10 episodes. It’s unclear why fewer episodes have been ordered, but it could be related to season three’s delayed premiere. Instead of debuting during the summer as seasons one and two did, season three will launch in early 2018. What do you think? Do you watch UnREAL? Are you looking forward to season three? I am looking forward to “UnREAL’s” return but in my opinion, the fans would appreciate more episodes.